If you have had enough of expensive drinks from your local coffee shop, then it's time you looked at the Nespresso Lattissima Plus Capsule system by DeLonghi. The unit is one that will blend in with your lifestyle to become one of the most used appliances in your home. The Lattissima Plus is packed with a gamut of features and has a compact form that won’t make it hard to fit in your kitchen. This machine is designed to impress. Your guests can enjoy barista quality drinks whenever they visit. 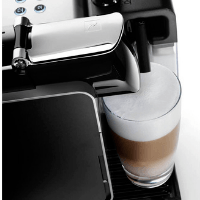 Our aim is to give you a comprehensive review that will tell you all you need to know about the Nespresso Lattissima Plus Original Espresso Machine. Our hope is that you can make an informed choice as you get this coffee maker. 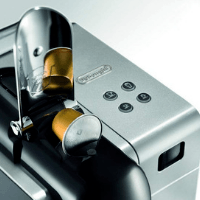 First, we’ll go over the features and benefits of the Nespresso Lattissima Espresso Machine. Next, we'll dive into the drawbacks that the Nespresso Lattissima may have for some customers. Then, we'll provide relistic viewpoints by talking about some independent and customer reviews. Finally, we'll give your our verdict. Ready for some buying information on this compact espresso maker? Great, let’s dive into the Nespresso Lattissima Plus Review! It is not enough that the Lattissima Plus has a design that makes you want to keep it in your kitchen. It also comes with a range of impressive features that make it a worthy purchase. Twin Thermo Blocks pressure system with Pump. Milk/cappuccino frother with automated froth delivery. Descaling alarm and water hardness settings. There are plenty of reasons why this unit beats other multi-functional coffee machines in its class. Here’s a look at the features that will make you fall in love with the Lattissima Plus. Sizable Water Tank: For a machine this small, you will definitely appreciate the 30 oz tank. Depending on how often you have your coffee in a day, the tank can go for a day or two. The water tank is one of those features that you want to check on before buying any coffee maker. Quality Froth Dispenser: Most espresso makers have one problem, which is the frother. In this case, the machine delivers quality both with the final product and the dispenser. The one -touch dispenser on this machine produces good froth that makes the texture of your drink much better. Removable Milk Module: With a milk module that can be removed, you don’t have to worry about milk preservation. You can easily store your milk in the fridge so that you don’t find it turned into cheese by morning. Patented Nespresso and DeLonghi Technology: Coming from a long line of exceptionally functioning machines, you can rest assured that this is yet another well-functioning machine. The Lattissima Plus is one you can trust to give you a variety of drinks without any trouble even after years of usage. Easy Capsule Positioning: Inserting the capsule is one of the hardest task for coffee drinkers. That is, however, not the case with the Lattissima Plus. 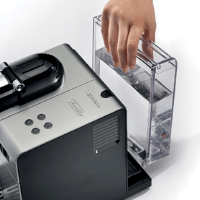 The machine has a twelve capsule holder which means you don’t have to keep inserting capsules. 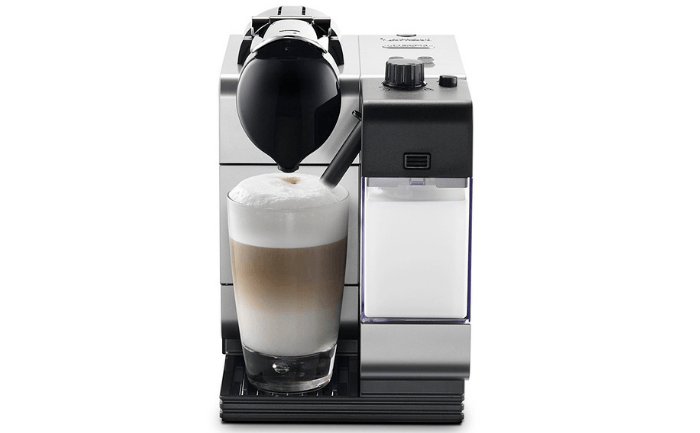 The Nespresso Lattissima Plus has a lot when it comes to great functionality. Even so, there are some aspects about the machine which you might not approve of. You can learn to live with these though, considering the machine you are getting. A Lot of Plastic Parts: The Lattissima Plus has a sleek design and is one of the best looking machines in its class. However, you won’t like the fact that a lot of the parts are plastic-made. A little more metal parts would have added to the machines strength. Restrictive Capsule System: As is the case with a lot of Nespresso machines, this one also accepts Nespresso capsules only. Though you have a variety of 24 capsules to choose from, it would be nice if you could get whichever capsule you like, which is not the case here. Going over the features and benefits of the Nespresso Lattissima Plus Espresso Machine is an effective way to learn more about it. Now, let’s see what actual customers think about this product. We will explore some Independent review sites and customer reviews from Amazon. 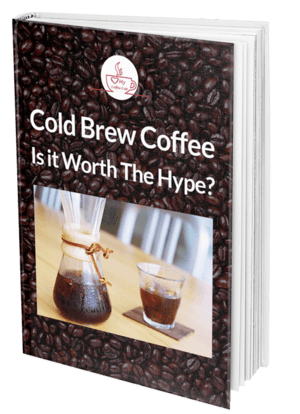 This can be beneficial for those browsing for their perfect coffee machine. This product comes highly rated on Amazon. It has a four-point-one star rating with over 845 customer reviews. We are all pleased with our DeLonghi machine; it produces great quality. You also get a wide selection of flavors which we have been tasting since we got the machine a few months back. The machine also looks good. We have never regretted getting this machine and look forward to more cups of great coffee. Overall the machine does well for the price it goes for. As for the coffee capsules, you will find that there is no difference between Nespresso capsules and any other brand most times they are even better. 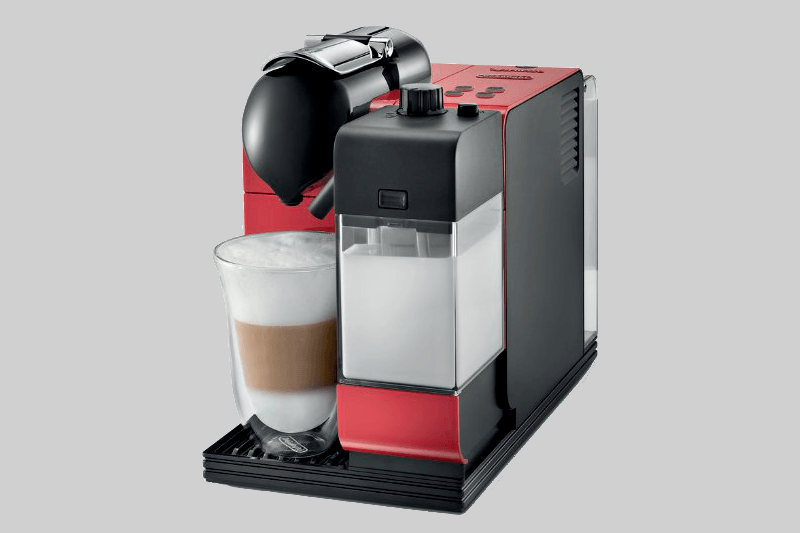 There is a lot in the way of functionality that you get from the Nespresso Lattissima Plus Original Espresso Machine. This unit delivers more than is expected for an espresso machine of its kind. Besides a nice looking design, the unit performs commendably well. Though it may have some flawed areas, there is very little to hate about the Lattissima Plus and that’s also a plus for the manufacturer.